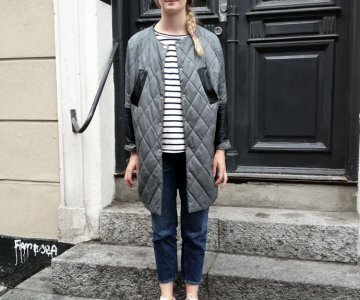 Baum und Pferdgarten jacket, Nørgaard blouse, Won Hundred jeans, Triwa sunnies & Nike sneakers. I bet you are all on Roskilde or chilling by a pool.. I’m home working..! Even though i have no pool or tanning plans i’m always prepared and i protect my skin every day from the sun. Last month i got a load of sunproducts and i have found my faves. The Anthelios xl from La Roche-Posay is an old friend, i’ve used it for a couple of years and it’s protective and not too greasy. The Vichy sun bloch is perfect for my beauty marks – i have a lot! I’ve used Green People before (see more here) and i’m so pleased with their sun products. They are just really easy to use, they do what they have to and smells good – but they don’t really have a smell. And i’m pretty excited about the hair products!